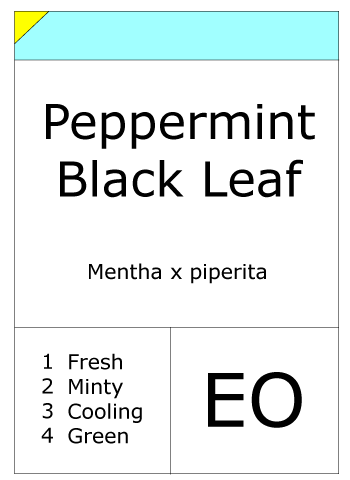 Mentha x piperita A variety of peppermint, very similar to white peppermint. The main difference is simply one of color - the leaves and stems of black peppermint are a dark purplish-brown, while those of white peppermint are green. 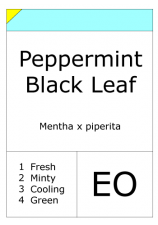 Black peppermint produces more oil than the white variety, but it is of an inferior quality. This aromatic variety of mint thrives in a moist, rich soil and a sunny position. It grows to a height of 2-3 ft and produces mauve flowers from midsummer. 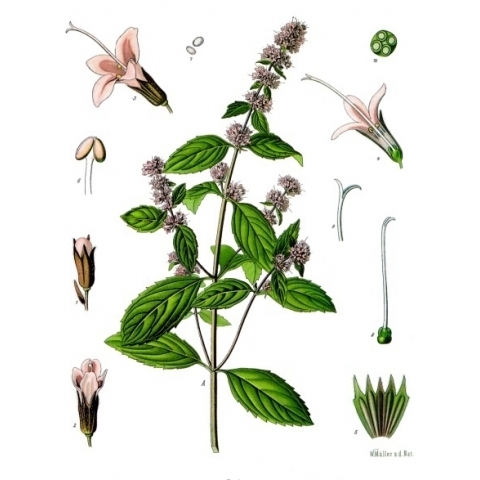 Uses: Black mint was grown commercially for its oil as early as 1750. Peppermint tea is usually made from black peppermint. The leaves can either be used on their own or dried and mixed with ordinary tea. Medicinal: The oil is used medicinally to relieve sickness and nausea and its strong flavor and smell mean that it is widely used to disguise the more unpleasant taste of other drugs.